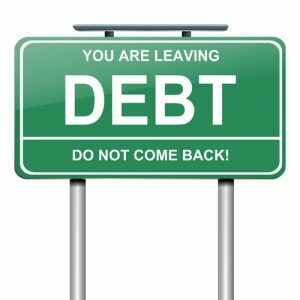 Picking up from where 6 Tips for Paying Down Debt – Your Path to a Debt-Free Future (Pt. 1) left off, here we will provide a few more tips for paying down debt so you can improve your credit and, ultimately, your financial situation. As you focus on paying down your debt, investing in your savings can be critical to avoid digging yourself into deeper debt in the future. Tip 3 – Make an effort to build up your savings. Create a good financial habit that can stick with you in the future. Slowly start to grow your savings – you may be surprised at how quickly the amount in this account grows when you are diligent about investing in it. Give you a cushion if (or when) a sudden, unexpected expense arises in the future (like, for instance, a medical bill), and this can prevent you from having to accumulate more debt to cover that expense. Tip 4 – Make it a habit to check your credit report. There are mistakes on your credit report that are affecting your credit. There is persisting debt that should have been removed from your credit report. There is debt on your credit report that you didn’t accumulate (i.e., you may be the victim of identity theft). Every six months to a year, request a copy of your credit report from each of the three credit reporting bureaus, and carefully check the details of these reports. If you spot mistakes, contact the bureaus for steps regarding what you need to do to get these corrected. It can go a long way to improving your financial situation. Be sure to check out the upcoming conclusion to this blog. For more than 34 years, Mr. Lindquist-Kleissler and the other legal professionals at Lindquist-Kleissler & Company, LLC have been providing both individuals and businesses with the highest quality of legal services for their debt relief needs.